Since launching in 2009, Astrill VPN has been known for providing complete security along with a diverse array of support across almost all devices. Coupled with a host of premium features, there’s very little that users will find lacking in Astrill’s product offering. Given that, Astrill does fall under the more expensive range of VPNs in the market which means that it definitely isn’t for everyone. Astrill has also received some media interest! But if you have the budget, here’s what Astrill has to offer. Astrill provides screenshots of speed tests from 38 countries. While using Astrill, tests showed our internet connection slow down anywhere between 15-20%, these speeds are quite respectable compared to the average of about 30-50% for VPNs. We tested from our sites in North America and Europe, ping tests to servers in the US would range anywhere between 10 to 110ms. Such lags would not affect those who use their VPN for browsing and downloading, and serious gamers may even be OK with this VPN. During our tests, we did not experience any disconnections with Astrill, their servers appear to be stable. Despite the connection slowdowns, there were no discernable issues when streaming or some light gaming. We have tested Astrill on a Windows PC and Android devices, all of which performed well within expectations when streaming Netflix and even playing online games on the desktop. Astrill allows you to ping and test all their servers or on a per country basis on their app, after which you can set favorites based on the tested speeds. Astrill VPN passed the Netflix test with ease. The service provides users with access to region-locked content based on their chosen servers. We tested this with US and UK Netflix as well as with BBC iPlayer; this worked on both the desktop and mobile device. Want to see more VPNs that work with Netflix? Here are our top picks. They specifically point this out on their website. Most of Astrill’s servers allow P2P services such as torrenting. In line with Astrill’s vision of unrestricted and unmonitored internet access, they record none of this activity. Astrill’s policy extends to content downloaded that your country might deem as illegal. Astrill denotes P2P friendly servers with a star and there was no shortage of these servers which ensured that overcrowding was not an issue. Running Deluge before and after installing Astrill saw no difference in download and upload speeds. This is good news to users who are registered to private trackers or torrenting sites in general. Port forwarding is also available on Astrill and is something they emphasize in their own VPN router. We love it when VPNs support torrenting. So much so that we’ve picked the best VPNs for torrenting. Installation and login of Astrill on both desktop and mobile were hassle-free and completely seamless. After restarting our test PC, it was ready to go. Both the desktop and mobile interface is just a big on/off switch along with the server and VPN options. Astrill comes built-in with a network speed indicator and the user can then choose to keep it on top at all times to be reminded that the VPN is active. 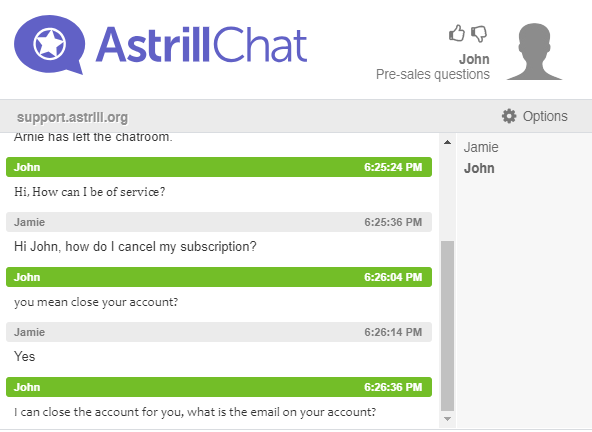 Astrill provides chat, ticket, phone, and email support. We tested Astrill’s live chat support from the bottom right button of their website during normal business hours. We were quickly connected to an agent who could help with our issues. Live chat was pretty responsive. Look at the timestamps! We also like to test thoroughly. We contacted support very late in the evening and the live chat wasn’t so responsive then. With an email, we were able to get a reply in about 20 minutes. Getting a fast response via email was great but the live chat may or may not work during odd hours. Most VPN providers these days offer live chat and if you’re a paying customer you should be expecting it, especially at Astrill’s price. Video tutorials for the noobs. Astrill provides an extensive FAQ, Manual, and video tutorials to provide as much self-help possible. Topics on the website range from installation, troubleshooting, and functionality of all of their devices. The manual is a wiki page with a complete listing of links while the FAQ lists all of the common questions customers might have. In the time spent learning how to use Astrill, we didn’t really need to open these as many of the options and functionalities are intuitive enough for the average user. IP Leak Test – Passed! Astrill was tested for DNS leak on both their and independent sites. 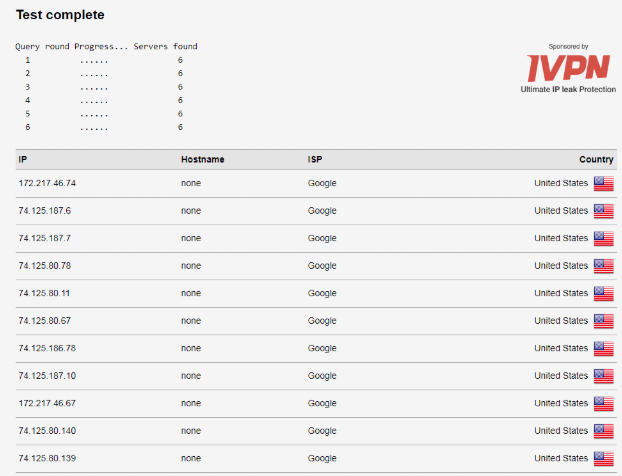 Both sites provided consistent results showing no signs of DNS and IP leak. It’s also worth noting that Astrill operates from the Seychelles which does not have any laws regarding data retention. In this regard, it’s safe to say that data that does pass through Astrill’s servers are well kept. 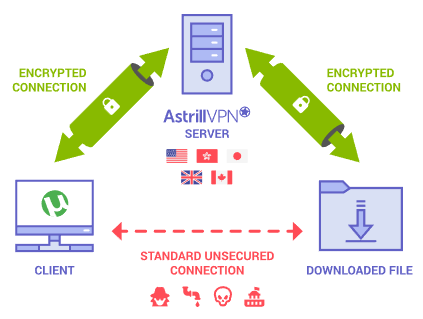 Even with a trial account, Astrill already provides all their available encryption protocols, unlike some VPNs. A cursory search shows Astrill has no news of having issues in countries that have heavy monitoring practices, this is a great sign that Astrill values their user’s security. 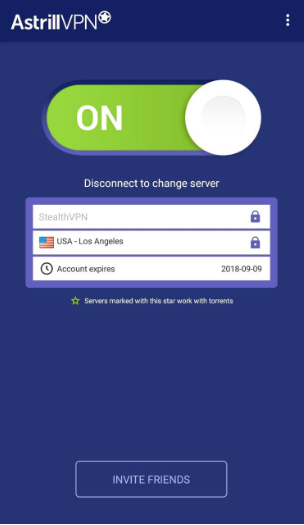 Astrill’s kill switch allows users to automatically block traffic from sites and apps when VPN is turned off or is disconnected. The automated kill switch is active on the desktop, mobile, and their router to provide as much coverage as possible. Astrill’s boasts a strong presence with over 300 servers in more than 50 countries, 138 of the servers are located in the United States and the rest are spread out across Europe and Asia. They’re also able to provide over 80,000 IP addresses to their user base, this assures anonymity every single time. For an extra $5.00 per month, Astrill will provide you a static IP address that is shared with no other user. Shared IP addresses are usually used by hundreds of users at the same time, a dedicated IP assures you an uninterrupted connection always. Even before installing Astrill on your device, you can see how they distribute their servers per country and per location. Astrill VPN works on an extensive list of operating software namely Windows, MacOs, Android, and Linux. This also means that they support mobile devices on both Android and iOS including AppleTV and Chromecast. Astrill’s VPN router is an add-on that’s well suited for customers who want to share the VPN across an entire household. This makes setting up easier for customers who have multiple devices at home such as a Windows PC, an XBOX, a PS4, and an Apple TV. This also allows users to monitor all the devices connected to a single interface. The initial sign up was fairly straightforward, do note that Astrill does require more information than most VPNs specifically a mobile number for a verification code. The free 7-day trial allows users to get fully acquainted with Astrill as well as allowing them to verify if Astrill is a good fit for their location. Astrill does have a refund policy that’s stated on their webpage. The refund policy is rather strict such that users that have availed of the free trial cannot get a refund. As well as that there are no unconditional refunds(no questions asked), so this is something that customers should really fully first before purchasing a subscription. Astrill’s packages are more expensive than most VPNs, reaching double the price of the “budget” VPNs. Astrill offers 1, 6, and 12-month subscriptions, however, none of these allow monthly payments. So if you do go for a long-term subscription you’re pretty much locked-in. Though some VPNs do offer subscriptions longer than 1 year, it’s likely Astrill does not do this so they can raise the price on any given year. Payment wise, there shouldn’t be an issue as it accepts Bitcoin, Alipay, Perfect Money, Paypal, and major credit cards. Astrill does not log any activity or cookies of any kind from any of its users. It does, however, keep the last 20 connection logs with the time of connection and length of the connection. This may be concerning to some users; however, Astrill maintains that this is used for customer experience research only. Astrill has been around since 2009. It operates out of Seychelles. Within its first year of business, it expanded to the US and European markets. It claims to have a small team of cryptographers and programmers behind the VPN. According to its Facebook page, it reached 20,000+ members in 2014. As Astrill VPN is registered in the island of Seychelles, it does not fall under the 5, 9, or 14-Eyes Alliance. This means governments can’t enforce them to give up user data. Astrill has been operating as a VPN provider for about a decade and it shows in their dedication to providing a premium service. Astrill does this by providing complete anonymity with a full suite of security protocols, users are then assured that they’re protected wherever they are and whichever device they’re using. Most, if not all of this we already felt even with just a trial account. On top of that, additional services like static IPs, VPN routers, and VIP status give extended coverage to customers willing to go the extra mile. The VPN router especially for customers who want their multiple devices on a VPN network. That being said, at this price point, we would recommend any of the VPNs in our top 10 list that are leading the pack. - Priced higher than most VPNs.